British jazz singer Zara McFarlane appeared at the first Love Supreme festival way back in 2013 and since then has been voted Best Jazz Act at the MOBOs and Best Vocalist by Jazz FM. She gained further recognition with a sparse, evocative cover of Junior Murvin’s classic ‘Police & Thieves’. 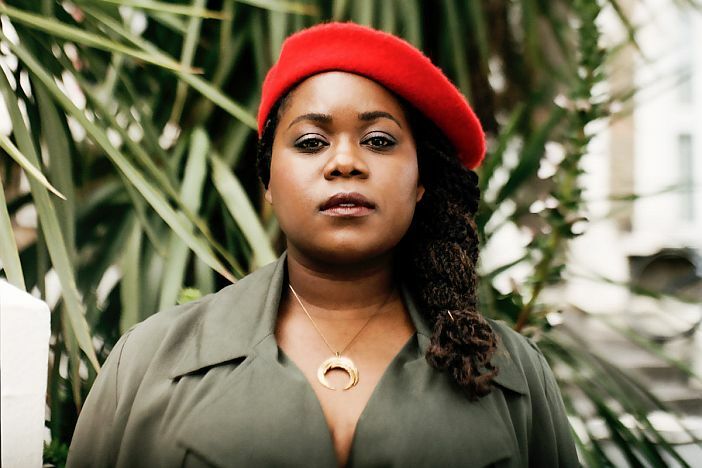 Her recent album ‘Arise’, her third for Gilles Peterson’s Brownswood label, was recently released to well-deserved critical acclaim, again mixing Jamaican influences with modern jazz. Compare the contemporary British jazz vibe of ‘Pride’, which begins with McFarlane’s spacey vocals then becomes an instrumental jam with a lengthy sax solo over electric piano stabs and a forceful rhythm section, to the laid-back roots reggae of ‘Fussin’ And Fightin’ which could be from an early 80s Greensleeves LP, and you get a feel of what she has to offer. She’ll be opening for Carleen Anderson at The Barbican in late January but this will be a great opportunity to see her in a club setting, her first visit since appearing at the 2014 Brighton Festival.